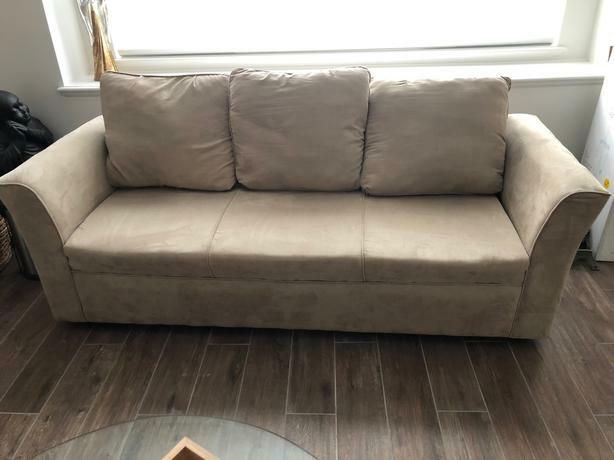 Beige couch - simple, clean and comfy - from smoke free home. Light but sturdy. No tears, rips or stains. 80 inches long X 30 inches high X 31 inches deep.